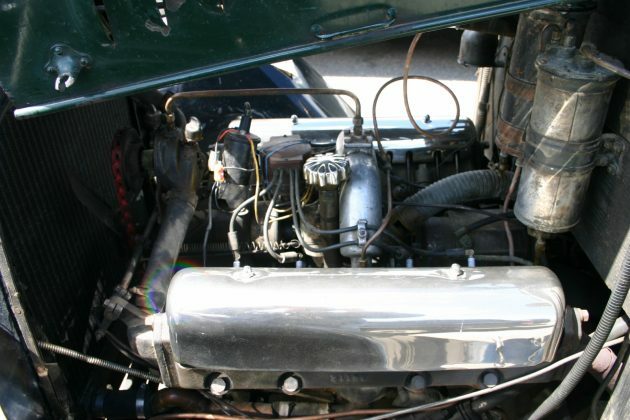 It’s crazy to think that Chevrolet used the same inline-six engine in all their vehicles from 1929 until 1954! The Stovebolt was the nickname fittingly given to that tough workhorse. It powered everything from passenger cars to big haulers like this one and a half ton truck. 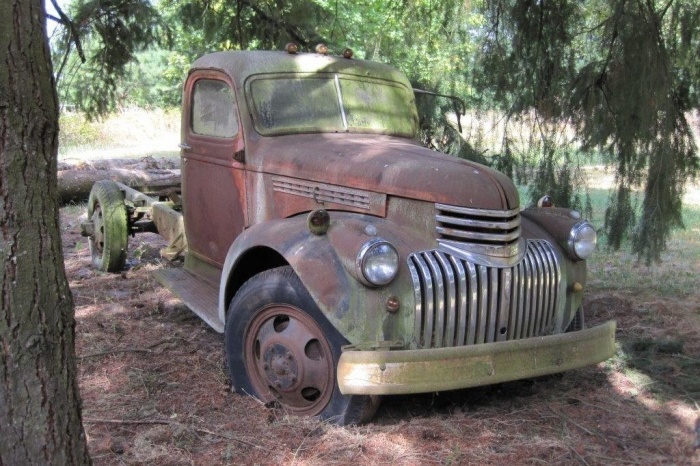 The seller claims that the 235 cubic inch Stovebolt in this one is “close to running” and that the sale includes another 1947 truck for parts or restoration. I’m not sure what I’d do with them, but I love the way they look. They are located in St. Paul, Oregon and are listed here on FossilCars for $4,000 for the pair! Here’s the parts truck. 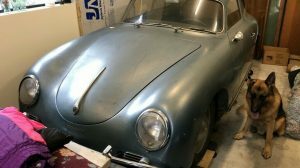 It’s a ’47, but the seller mentions that the cab is the same. Both of these rigs have a cool vibe to them and the moss only adds to it. Moisture is never a good thing, but these do look surprisingly solid from what I can see. These are relativity rare too. They were built at the end of war time rationing so there weren’t a ton built and the age means there can’t be a lot left. With a few modern updates, one of these could make a very unique car hauler! What would you do with yours? I like both ideas. Was at the GoodGuys National in Raleigh a couple of weeks ago and a guy did the resto-mod treatment with a 49 or 50 Chevy COE based on an 85 3500 chassis, including extending the cab. It was a really clean job, similar to your 2nd suggestion (although the 47 would be a really cool cab to do). For some reason picture didn’t load the first time. Trying again. It’s interesting that the name, Stovebolt, really only applies to the engine made between ’29 and ’36 (It seems to me that has been discussed before). That was because there were a lot of straight slotted head bolts (stovebolts) used in the engine. The ’37 (and up) models were called: Blue Flame but the Stovebolt name just soldiered on. In the service shop we never referred to anything larger than a 216 as a Stovebolt although the 235 was available post war in larger trucks and from ’49 to ’53 in cars equipped with Powerglides. I even heard guys referring to GMC’s 228 and 248 as a Stovebolt which was definitely NOT. The cabs on these trucks were pretty much the same between ’41 and (early) ’47. Truth be known, I preferred this design (looks wise) over the later ’47 and up Advanced Design although those later designs were a marked improvement. I hope that whoever lands these trucks restores them. I’m getting weary of guys buying these trucks then pulling the cab/front sheet metal and scrapping the chassis. These trucks deserve some TLC too. Pretty crummy ad, 2 pictures, I mean, if it were $300 bucks for the pair, that’s a different story, but for 4g’s, kind of like to know more. I’m sure the inside and mechanical’s are pretty much consistent with these types of vehicles. Everything is shot. 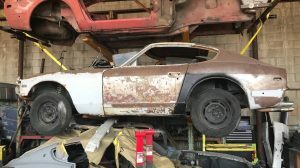 Personally, I’d try and make one good one ( take your pick, they both look about the same condition) and keep the other for parts. 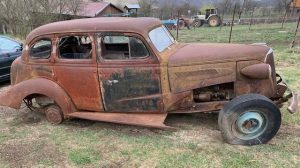 I don’t know if the price is out of line, certainly not what I’m used to for this stuff, but I suppose if you want an old farm truck, this is about what you’ll get. The supply, while plentiful years ago, is bound to dry up sooner or later, making these pretty rare. So many power ways to go, but I’d re-do it completely stock. I agree about the “Stovebolt” ( or what ever you call it) was a popular motor, except I believe the AMC in-line 6 has been around longer now. Hi Howard. Your knowledge of AMC is definitely a lot more than most of us. I’m curious as to the lifespan of the AMC six. At least the 232/258. I know it ran a long time but am oblivious as to when it actually debuted. Hi geomechs, Wiki claims 1964 to 2006. The Jeep 4.0, a derivative of the 258, was the last thing Chrysler made in Kenosha, when they closed the plant in 2005. I used to haul Jeep motors for a short time. They were going overseas somewhere in a container. Who knows what those ended up in. I have a 60 Chevy BelAir in pieces right now waiting to send the frame off to be soda blasted, and sitting next to the frame is the 235 on the engine stand. When I bought this car some 15 years ago, the reason I bought it was it was the exact copy of the first new car my parents bought, and Dad called the 235 engine a stove bolt. Its funny that chevy actually did do a V8, way back, then went to the 6 and dident do an 8 for quite a while! Hi unclehotrod. From what I heard/read, Louis Chevrolet dreamed of the cars bearing his name being ultra high class to compete with the likes of Pierce and Apperson. He was working on the V8 when Willie Durant and him parted ways; Durant wanted Chevy to compete with Ford and that insulted Chevrolet. 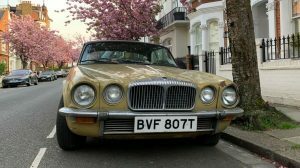 However the decision was made to continue the V8 and see where it would go. It proved to be costly, not that powerful and guzzled gas. The six seemed much easier to achieve so that’s the direction Chevy took. GM figured that the higher end cars like Cadillac were all it needed to run a V8. Louis Chevrolet was only around for about a year (1911-1912) The OHV V8 (model D) came along in 1917 and it took them until 1918 or 1919 to sell them all. The big change from 4 cylinders to 6 was for the 1929 model year. I doubt that Louis had anything to do with either the V8 or 6 cylinder Chevys. 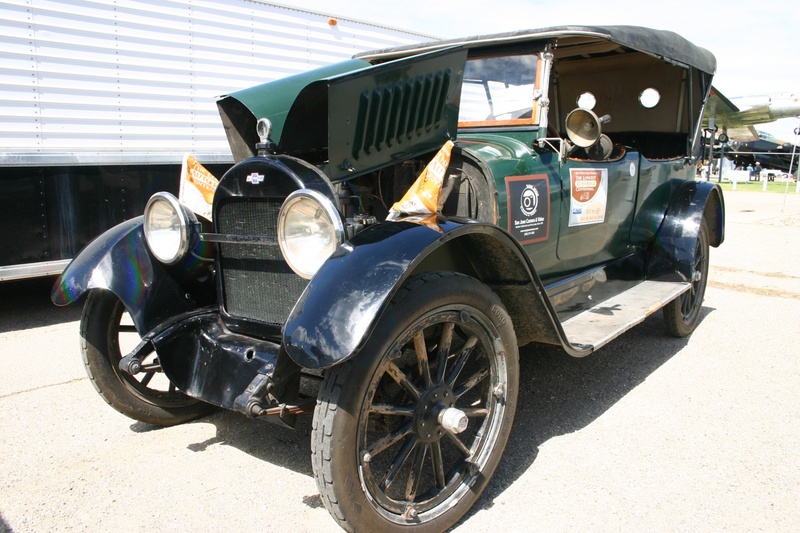 Cadillac switched from large (about 400 CID) 4 cylinder engines to V8s in 1914. They were flatheads. Olds had a V8 in the teens also, I think. Hi Mike. There are a number of stories that surround Louis and the V8: some say that he worked on the V8 while others say that it was the big car only. My understanding is that the first V8 was Louis’ idea but he didn’t get much of a chance to do much more than the initial design before he stormed out. The V8 Chevrolet was a big car, like what he envisioned all Chevy’s to be. What he is calling a 45 doesn’t look like a military truck. There were no 45s for civilian use. The painted grille truck could be military. Who knows how vehicles were titled back then. Both trucks have big bumpers which normally means post war. ’41 an ’42 trucks had a narrow bumper which was the same as the pickup. The stove bolt or “Blue Flame” 6 continued to built by Chevrolet even after 1955 when the V-8 was introduced. In 1976, I bought a used 1971 Pontiac Firebird that had 6 cylinder Chevy engine, three speed on the column, came from the factory! Drove it 5 years, had it rebuilt, drove it for another 7 years or so. Great car! The blue flame 6 ended in 1962 in car and 63 in trucks. What you had in a 71 firebird was the the newer style inline six that started in 63 which used many small block chevy parts. the later six had no parts common with the blue flame six. Which started with the 216 in 37 and 235 in 49 and went all the way up to a 261 in the two ton trucks that came out in 1954. And did you know – it was the engine of choice – the 6 cyl – well into the 60’s in big trucks like dump’s and hay haulers…..ask me how I know…..
Hi stillrunners, to this day, the engine of choice for trucks is still the in-line 6. I spent most of my 35 year driving career behind ( or above) an in-line 6 ( with a few V-6 and V-8’s mixed in) We had a saying, “Six in a row, makes ‘er go”. I think these are beautiful Trucks, the sheetmetal on them is just art. I am not certain thats a realistic price on them. 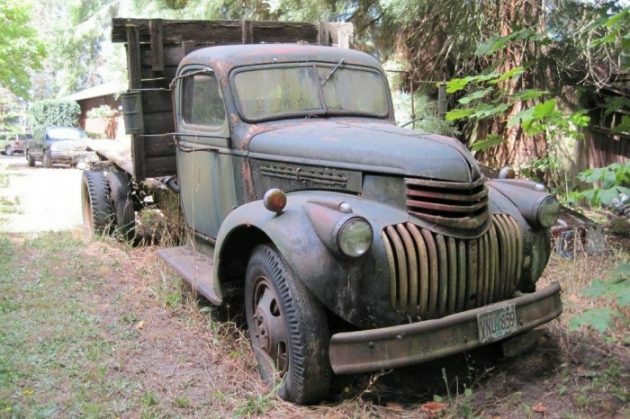 Although you would think with that nice looking body work, and if relatively rust-cancer free they would be worth it, theres a lot of prewar and up to 50s Trucks like this around at low prices. These also present kind of a problem. Almost too nice to part out into a resto mod or place on a modern Chassis (my first thought) but there is a very limited market for a truck like this restored or this heavy of a chassis. Not real clear either if you have to buy both, who needs 2? But sure are nice lookers.